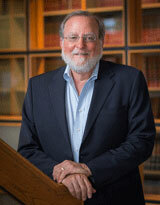 Philip Gitlen is a partner at Whiteman Osterman & Hanna LLP. Phil has been practicing environmental law since 1974, first at the New York State Department of Environmental Conservation, where he served as general counsel from 1977-1978, and then in private practice. Phil joined Whiteman Osterman & Hanna LLP in 1981 where he has represented large and small corporations, government agencies and environmental organizations in environmental permitting, enforcement and siting and acquisition of solid waste landfills and hazardous waste management facilities. Phil also represents businesses in environmental due diligence for mergers and acquisitions and in negotiating and drafting the environmental provisions of various business agreements.